This visually-appealing system consists of the SAMBA, an externally worn audio processor, and a surgically-inserted bone conduction implant (BCI 601) that lies directly beneath the skin. 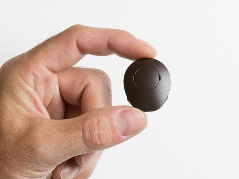 The compact audio processor can be worn discreetly beneath the hair. SAMBA is the latest generation of audio processor for BONEBRIDGE. SAMBA is appropriately named: it’s colorful, versatile and brings sound and joy to your life. With the interchangeable covers of the SAMBA audio processor you can choose to hide the audio processor underneath your hair or make an expressive individual statement. Along with its stunning design, SAMBA is packed with sophisticated hearing technology to support your lifestyle. BONEBRIDGE is an innovative bone conduction implant that transmits sound waves via the cranial bone directly to the inner ear, where they are perceived as natural sound. The implant is completely invisible under the intact skin. In contrast to other bone conduction systems, this minimizes the risk of skin irritations, and the direct stimulation of the bone (direct-drive technology) achieves optimal sound transmission results. 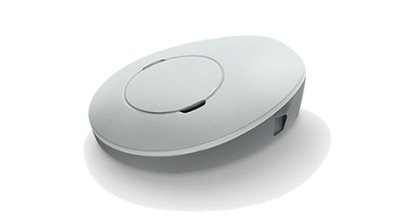 *Wireless connectivity feature is available with the Siemens miniTek. Sivantos is not responsible for the operation with the SAMBA or its compliance with safety and regulatory standards in operation with the SAMBA. The direct-drive technology of the implant, along with its advanced signal processing, produces outstanding audiological results. The ear remains unobstructed. This makes BONEBRIDGE a solution for people with pathologies of the ear canal. 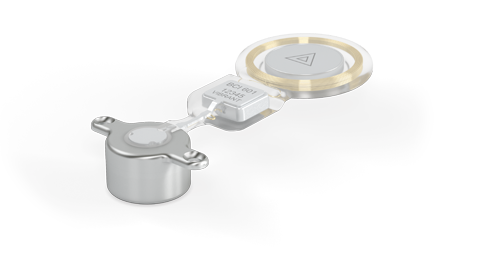 Like MED-EL’s cochlear implants , BONEBRIDGE’s external audio processor can be easily upgraded to a newer generation of device, even years after the original implantation. 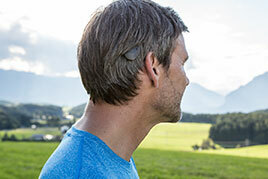 BONEBRIDGE is the first active bone conduction implant system that leaves the skin intact, as the implant is placed completely underneath the skin. This ensures an extremely low risk of skin complications, such as infection. The well proven intact-skin technology already established in MED-EL’s cochlear and middle ear implants is now being employed successfully in bone conduction stimulation. Who can receive a BONEBRIDGE? sound cannot take the natural path through the outer and middle ear to the inner ear (e.g. in event of malformations or after middle ear operations). the patient suffers from conductive or mixed hearing loss. the patient suffers from single-sided deafness. Your ENT clinic or audiologist will determine based on medical examinations and a hearing test whether a BONEBRIDGE is the right hearing implant for you. The internal component of the BONEBRIDGE is implanted behind the ear, directly under the skin, in an operation that takes 30 minutes or one hour. The BC-FMT positioned in the mastoid is attached through two screws to the bone. The surgery takes place under either general or local anaesthesia. Your surgeon will inform you of the precise details of the operation. About one month after the implantation, the external audio processor will be individually adjusted in order to activate the BONEBRIDGE. An audiologist or other hearing specialist will explain to you how to properly handle the audio processor.